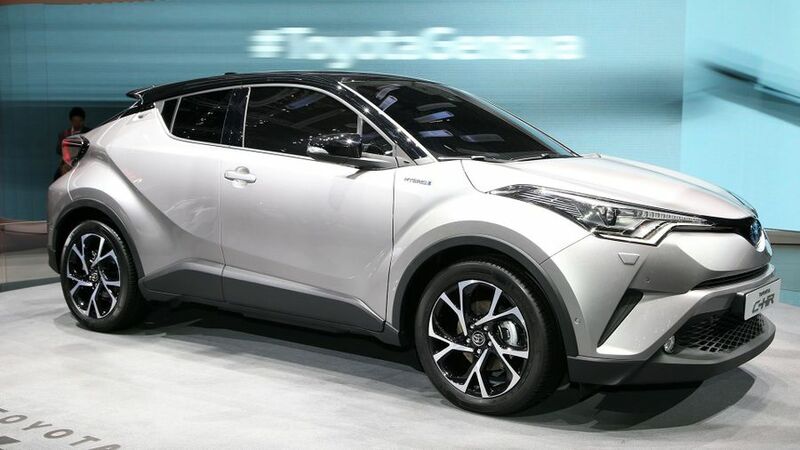 Toyota unveiled its rival for the Nissan Juke and Honda HR-V in Geneva. 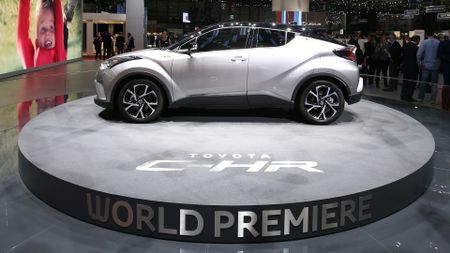 The C-HR will be the first full hybrid in this sector of the market and is expected to go on sale later this year. The looks of the production car – whose initials stand for Coupe High Rider – have stayed very true to the concept cars that have been shown over the last couple of years, with bulging wheelarches and what Toyota calls a ‘diamond architectural theme’. The front lights are full-LED units, and combine with the two-part grille to give the new car a thoroughly distinctive look that’s echoed at the rear. Here, the coupe-like lines are emphasised by the door handles being hidden in the rear pillars and the large spoiler. 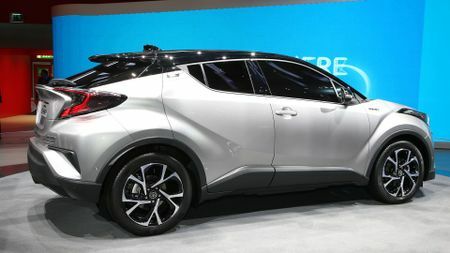 The looks alone will see the C-HR stand out, but where it also differs from its rivals is in having a hybrid option. This will be the company’s latest hybrid powertrain, using the combination of a 1.8-litre petrol engine with an electric motor to give a total of 120bhp and class-leading CO2 emissions of just 90g/km. As an alternative, buyers can also choose the turbocharged 1.2-litre petrol engine that was seen for the first time in the latest Auris. This will be available with both a six-speed manual gearbox and a CVT, the latter also offering the choice of two- or four-wheel drive. There’s no word yet on prices or specifications for the car, but Toyota says it will start to take orders in September; and, given the car’s competition, we’d expect the range to start in the mid- to high teens.